A hero’s tournament. A defiant contender. Does one girl have the courage to take on Mount Olympus? Hope’s world doesn’t have room for heroes. She barely has time for schoolwork, swim team, and taking care of her ailing mother. But when she’s invited to a mysterious tournament, the all-powerful hosts won’t take no for an answer. Transported to Mount Olympus, Hope comes face to face with her new trainers—the pantheon of Greek gods. While other contenders train hard to gain a fighting edge, Hope searches for a way out. Instead, she finds a gorgeous shadow god who may just convince her to stay… As each round unfolds, the ultimate prize draws closer—the granting of her heart’s deepest desire. If she survives the final challenge, her mother’s cure would be within reach… but only if Hope can ignore the tournament’s dark purpose. 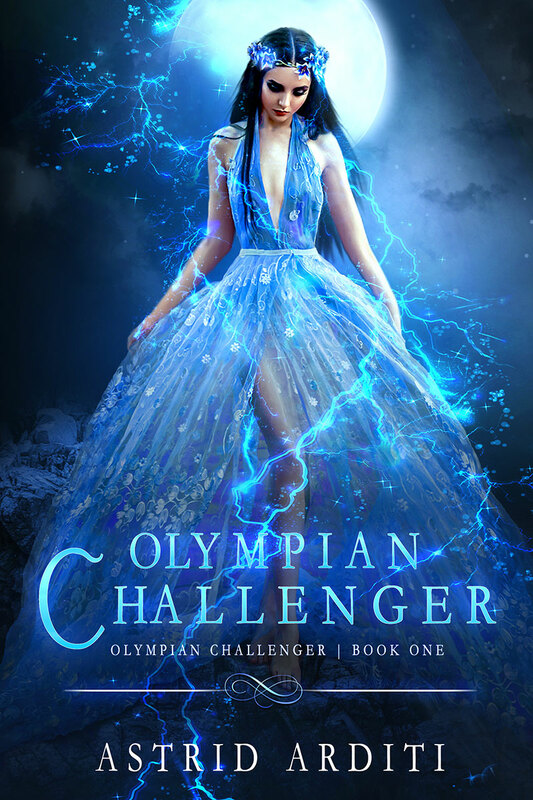 Olympian Challenger is the first book in a bold YA urban fantasy trilogy that fans of Rick Riordan and Cassandra Clare are sure to devour. If you like Greek mythology, forbidden romance, and feats of courage, then you’ll love Astrid Arditi’s heroic coming-of-age tale.